In accordance with Nevada Law, a seller of residential real property in Nevada must disclose any and all known conditions and aspects of the property which materially affect the value or use of residential property in an adverse manner. 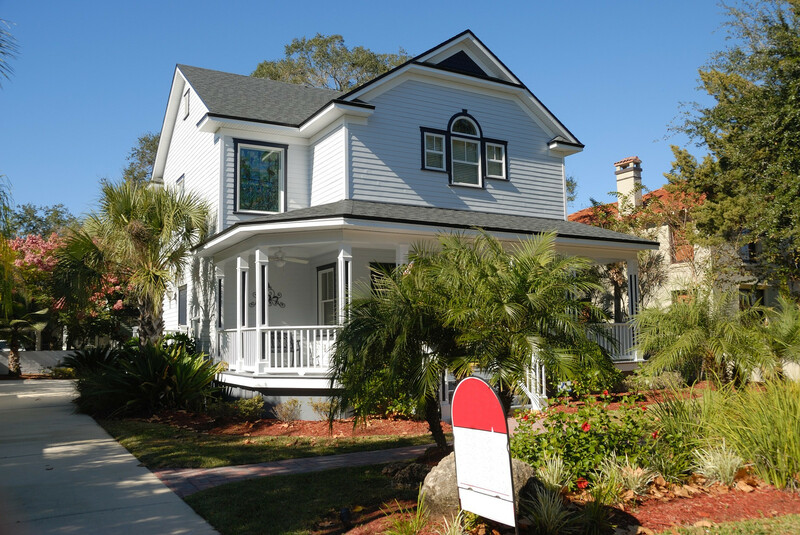 This is known as the Seller’s Real Property Disclosure form, also known as the SRPD. With a few limited exceptions, the SRPD is required to be provided by a seller at least 10 days prior to the conveyance of the property. (Contractual provisions may shorten that time frame.) The seller should use care when completing the form, and answer all questions truthfully as to what they are aware of in the property. Failure to provide the form or to answer untruthfully may have serious consequences under Nevada law. Moreover, if you discover any new defects after giving the disclosure form to the buyer but before the actual closing, you must tell the purchaser or his or her agent about it, in writing, as soon as practicable after discovering the problem and before closing the sale to the buyer. After getting the disclosure statement, the buyer can cancel the purchase. Imagine, for example, that you give the buyer a disclosure statement stating that the heating system doesn’t work. The buyer can back out of the transaction, perhaps finding another seller in Nevada whose heating system works, or alternatively negotiate for a change in terms; perhaps a lowering of your purchase price in order to recover the cost of the broken heating system, or that you make repairs before the closing. Or, the buyer can simply stick your disclosure statement in a drawer and move ahead with the sale. Importantly, the law specifically states that it “does not require a seller to disclose a defect in residential property of which the seller is not aware.” In other words, you have no obligation to hire an inspector to tell you whether your plumbing works or not. If you do not know about a particular problem, you have nothing that needs to be disclosed. The consequences of not providing the SRPD can be serious. The seller is obligated to deliver the document to the buyer within 5 days of having an effective contract to purchase. If they do not do so in time, but deliver it late, the buyer’s right to cancel the contract remains alive, until the time the buyer receives the document and has ample opportunity to review it and also to respond. Nevada law requires the document to be delivered not later than 10 days prior to the close of escrow. However, proper procedure (and the contract) says the SRPD should be delivered to the buyer within 5 days. If the seller fails to deliver the SRPD at any time, then the buyer’s right to cancel remains alive right through the moment of closing. Moreover, after the buyer takes ownership of the property, should they discover any defects, and have a way of proving that the seller knew about them (or reasonably should have known about them), and failed to disclose them, the buyer may sue the seller and is entitled under Nevada law to recover an amount equal to three times the cost of repairs plus attorney fees and court fees, yikes! Two years after the transference of the property to the buyer. Not only do you need an SRPD when selling a home, you definitely need one when buying cash as an investor. Anyone who has bought or sold a home before knows that if we are to become a digital world, we’re not entirely there yet. Piles of papers require signatures from both buyers and sellers – from contracts and disclosures to releases and quitclaims. It’s not unusual for each party to have hundreds of pages of documents to read, complete, acknowledge, or sign. But in that stack of documents, there’s one in particular that requires specific information that is often available from only one party: The Seller. And that is the Sellers Real Property Disclosure. It is perhaps one of the most informative and relied-upon documents out of the whole bunch – because real estate agents and potential buyers will be reviewing it carefully as part of the offer process. But what exactly is a Sellers Real Property Disclosure? Simply put, this is the seller’s chance to lay out anything that can negatively affect the value, usefulness or enjoyment of the property. The latest version of Nevada’s SRPD form can be provided by your local real estate professional or found online and typically requires you to answer a set of specific questions – in detail – about the condition of the home and its components. It’s the seller’s obligation to disclose these kinds of issues, and the buyer’s responsibility to be completely aware of past problems. 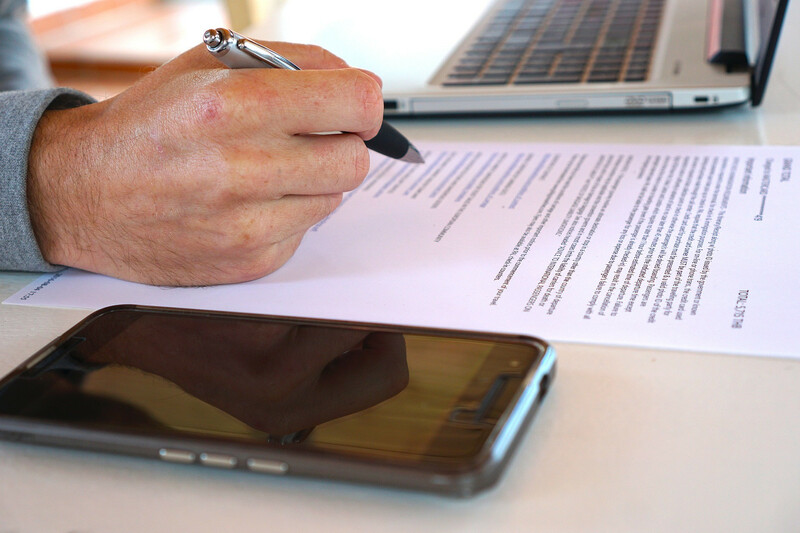 While the types of disclosures required will vary from state to state with regard to the information that must be shared with a buyer, they can also perform another very critical function: SRPD’s can protect the sellers from any future legal action. What will potential buyers look for? As an example: It’s standard practice in real estate to give a home a fresh coat of paint before putting it on the market. Nine out of 10 times, the purpose is to show the property at its best. But every so often, the seller paints the house in hopes of covering something up – such as a water leak. In reality, anything from a leaky window to a loose covering, or remodeling to pets living in the home – all these things and more need to be honest and thoroughly answered in full on the SRPD form. Fortunately, having the latest version of these forms available to complete will help jog your memory because the questions asked are pretty specific and will cover any mechanical or cosmetic issues that have proven to be a legal problem for other transactions (generally discovered by previous lawsuits). Unfortunately, in some cases, sellers will breeze through the SRPD quickly and without giving it much thought – and perhaps accidentally forget to note that the air conditioning required repairs 6 months ago, or that some roof tiles were replaced after a storm a few years back. After all – there was a problem, it was fixed, so not it’s not a problem anymore, right? Wrong! While in theory, that concept may work, if a problem should occur again with any such items after a new buyer takes occupancy, there is the potential for liability on the seller’s part because they failed to make full disclosure to the buyer about its history. So what will happen if a Seller fails to disclose? Once an issue occurs and the buyer realizes that they weren’t given full disclosure – the “party” begins. The problem is that the only ones invited to this party are buyers, sellers, real estate agents, inspectors, attorneys, mediators, and judges. And everyone realizes that no one seems to like each other that much. Plus – it costs money. A LOT of money. All those professionals getting involved and all the repairs and inspections needed – they’re not going to happen for free. At the end of it all, if a judge determines that the seller was at fault for failing to provide information to a buyer about a pre-existing condition, it’s more than likely to come out of the seller’s pocket. From court costs and expenses to repairs and even punitive damages – and it can amount to a sizeable amount of money. In some cases, sellers do decide to deliberately withhold information from an SRPD (completely against the advice of their real estate professional) – possibly thinking that it’s been resolved, it won’t be detected, or it can probably be blamed on another source by the time it is found. For those sellers who might be getting the same idea, we have just 1 word for you: Neighbors. The same ones who may have helped or sympathized with you over a costly repair or problem. They are now going to be living right there with your new buyers on the same street. Let’s just say – it’s a gamble that’s not worth taking. In short, full disclosure up front is the only way go to. In some ways, it can actually benefit a seller, in fact. It shows that the seller is upfront and thorough, and that goes a long way toward giving potential buyers peace of mind. A case in Utah. Michelle McLean discovered an issue after purchasing a home in Vernal. It had a septic tank, but she found out only after closing she was required to hook it up to the city’s sewer line. Clark (president of the National Association of Exclusive Buyer Agents) said the fact could have been specified within Utah’s standard seller disclosures. McLean contacted her real-estate agent, and the seller ended up paying for the hook-up. A case in Colorado. At an open house the buyers attended — and at the walk-through before closing — candles and cookies scented the home. But when the buyers moved in, there was a strong smell of cat urine throughout the house. They called their attorney, a strongly worded letter was written, and the sellers provided money to replace padding and carpeting. The Court concluded, “a seller of residential property has a duty to disclose only those conditions that materially and adversely affect the value or use of the property, and of which the seller is aware, realized, perceived, or knew. Because repaired …. damage does not constitute a defect under NRS 113 and [the Seller] did not know of the presence of [a defect], she did not violate the disclosure requirements contained in NRS 113… when she completed the SRPD.” Now that’s good law! Can You Sue a Home Seller for Undisclosed Defects in Nevada? Nevada residents know all about evaluating risk. When you bought your home, you probably thought it was a fairly safe investment: You knew its present value, and expected that value to rise over time. But what if you eventually discover that the home had various hidden defects that made it worth much less than you thought? Imagine, for example, that after the closing, you move into the home and find that there’s no electricity on the second or third floors of the house. You further discover a significant outbreak of mold in the master bathroom, and a series of leaky pipes in the basement. These problems will cost you tens of thousands of dollars and much aggravation to repair. It occurs to you that none of the information you received from the seller contained a word about these issues. Did Nevada law require that the seller tell you? And did this failure to disclose open up the seller to a possible lawsuit whereby you could recover your expenses? What Did Your Nevada Home Seller Need to Disclose? The disclosure statement should have covered all known material defects—that is, significant problems with the property that the seller was aware of. Importantly, the law specifically states that the seller need not “disclose a defect in residential property of which the seller is not aware.” In other words, the seller has no obligation to go poking around in the attic, or to hire an inspector to tell you whether your plumbing works or not. If the seller did not know about a problem, he or she had no obligation to research or disclose it. Unlike in some states, Nevada’s legislation does not specifically state what areas or aspects of the property require some sort of disclosure. 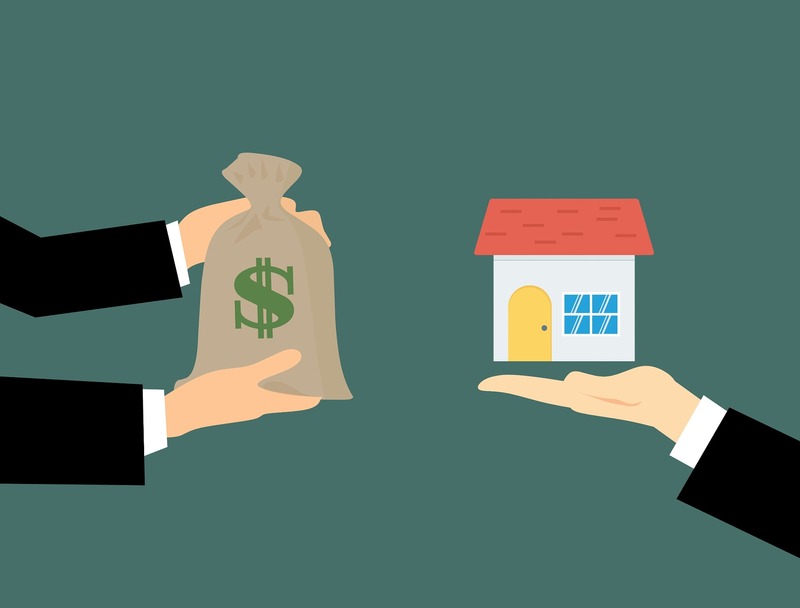 However, the Nevada Real Estate Division (a state agency that monitors the real estate industry) offers a widely used four-page disclosure form containing all of the necessary information that the seller should have disclosed to you. You likely received this form, or a similar form, prior to the closing. The form required the seller to answer a series of questions about various elements of the home by checking a box for “Yes,” “No,” or “N/A” (not applicable). The disclosure form asks about the condition of various aspects of the property, including: Systems/Appliances (such as plumbing, garbage disposal), Property Conditions (roof, renovations, flooding, and so on), and Environmental Conditions (such as radon, asbestos, and fungi). With this background in mind, how do you know whether you might have a cause of action against (grounds to sue) your seller? The first step to answering that question is to dig through your files and find the seller’s disclosure form. Did the seller disclose any information about the unfavorable condition that you are suddenly facing? Perhaps the seller did alert you to the mold or the electrical problems, and you simply overlooked this or consciously ignored it. If so, then you are unlikely to be successful against the seller in court. Nevada’s statute says, “The buyer shall not have a cause of action against the seller, agent and/or subagent for … Material defects in condition of the residential real property disclosed to the buyer prior to the buyer making an offer to purchase.” Under the statute, you would have had to “accept the property with the defect as revealed by the seller … without further recourse.” In other words, the disclosure form protects the seller from liability. Not all home sellers will be quite so honest, though. A seller may have deliberately failed to reveal a defect, knowing that the problem would scare away buyers (or resulted in lower purchase offers). In this case, Nevada law offers a few potential remedies. In accordance with N.R.S. 113.150, if you discover a material defect in your property, the seller could be found liable if he or she failed to comply with the disclosure requirements of NRS 113.130. If the seller knew of the defect before the sale, then the buyer “is entitled to recover from the seller triple the amount necessary to repair or replace the defective part of the property, together with court costs and reasonable attorney’s fees.” That means you could recover from the seller three times the amount it will cost you to repair or replace the defective condition, plus court costs and attorney’s fees. This is a very firm remedy; obviously, Nevada’s legislature aimed to encourage honesty among sellers. In plain English, this means you should act fairly quickly once you identify the defect. Remember, it can sometimes take months to identify the appropriate attorney and have him or her do the necessary advance research and file suit. You would not want to wait and then be restrained by this statute of limitations. Even beyond the statutory cause of action contained in N.R.S. 113.150, you may have two additional common law causes of action under Nevada law: fraud and breach of contract. Fraud occurs when one party makes a knowingly false statement in order to induce another party to take an action. For example, imagine that the seller told you (verbally or in writing) that the kitchen appliances were brand new. However, soon after you moved into the home, the oven stopped working and was clearly dead. Clearly, the seller’s false statement was made to induce you to purchase the house. This might constitute fraud. You may also have a breach of contract cause of action against the Nevada seller if the language of your contract made certain guarantees. For example, if your purchase contract specifically stated that the seller would deal with all mold in the bathroom before closing, but in fact never did this remediation work, he or she would be in breach. In summary, Nevada law provides you with a number of causes of action against a seller who intentionally and knowingly fails to disclose information about material defects in the home. 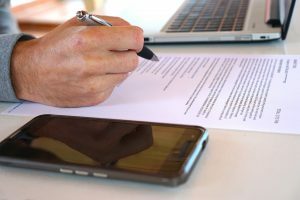 After you locate the disclosure documentation and gain a sense of whether the seller omitted to mention material defects, it might make sense to have a consultation with an attorney with the appropriate background in real estate litigation. All in all, do keep Nevada’s tight statute of limitations in mind, however, and act quickly.